Kristi Burton Brown is an attorney focusing on public policy and the First Amendment and sanctity of life issues. She is licensed in the State of California and admitted to the District of Colorado and the 10th Circuit Court of Appeals. 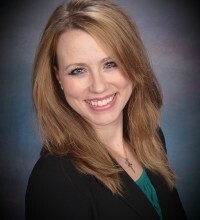 Kristi has worked on pro-bono projects for Life Legal Defense Foundation, Live Action, Child Evangelism Fellowship’s parent organization, and Alliance Defending Freedom. Her first book, “Do Justice: Practical Ways to Engage Our World” was published in August 2017. Kristi has been involved in politics for over a decade, working on U.S. Congressman Doug Lamborn’s inaugural campaign and as the co-sponsor and spokesperson for the nation’s first Personhood Amendment in Colorado. In her role as spokesperson, Kristi was featured and quoted in national outlets including U.S. News & World Report, Newsweek, and The Washington Post; she has also appeared on multiple radio and TV shows. Kristi Burton Brown, J.D., is an attorney focusing on First Amendment and sanctity of life issues. In this interview, she discusses the legal defensibility and value of pain-capable abortion prohibitions, as well as fetal disposition and laws governing that practice. Missouri HB 908 would prohibit abortions after the point at which unborn children are capable of feeling pain. Kristi Burton Brown, J.D., submitted the following written testimony in support of HB 908. Missouri HB 194 would regulate the disposition of fetal remains from abortion and ensure greater transparency and accountability on the part of abortion facilities. Kristi Burton Brown, J.D., submitted the following written testimony in support of HB 194. With roughly 1.06 million abortions in the nation every year, abortion facilities have a need to dispose of approximately 2,700 baby bodies every day. This paper will examine the problems that occur when laws fail to hold abortion clinics accountable and when the clinics are allowed to choose methods of disposal that most benefit their businesses. It will also suggest a variety of changes that could be made to state laws to end some of the dangerous practices of the abortion industry.